On Tuesday, September 25th 2018, the Vancouver Sun newspaper published an op-ed article by Kim Stephens and Tim Pringle of the Partnership for Water Sustainability in British Columbia, written in collaboration with Bob Sandford, who represents the United Nations. The article is reproduced below. 2018 is a teachable year. This past summer, if you wanted to know what climate change will mean to your future, all you had to do was be outside to see what is to come. The entire Northern Hemisphere was impacted by extreme weather – drought, forest fires or flooding. But it is not the end of the world; just the beginning of another. B.C. is one of the last places on the planet where it is still possible to transcend the climate debate and create a better world. B.C. has enough remaining natural capital to protect and restore its way back to true sustainability. Getting it right starts with recognition that hydrology is the engine that powers ecological services. In 2002, the provincial government released “Stormwater Planning: A Guidebook for British Columbia”. This set a new direction for land development, founded on the principle of working with nature. Yet, 16 years later, communities are experiencing more flooding and more stream erosion; and streams are going dry during extreme droughts. Why? 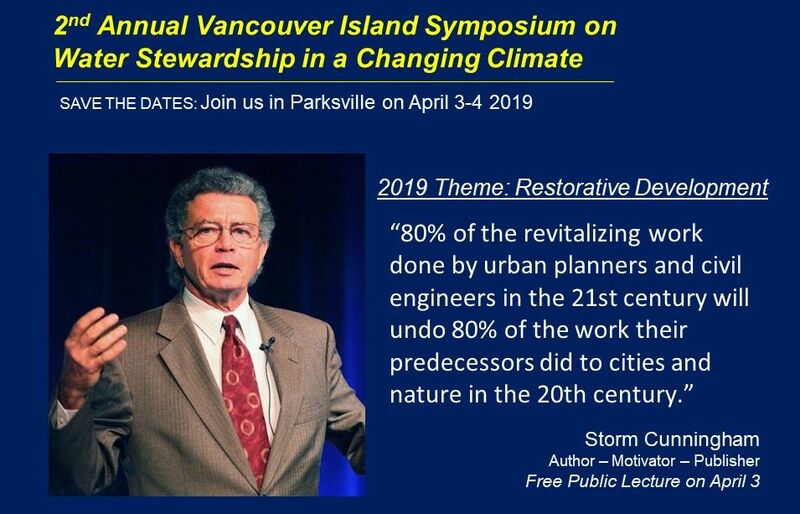 Entrenched beliefs and a reluctance to change 20th century engineering practices have consistently resulted in missed opportunities to “get it right”. A central authority is necessary to establish expectations and ensure practitioner accountability. 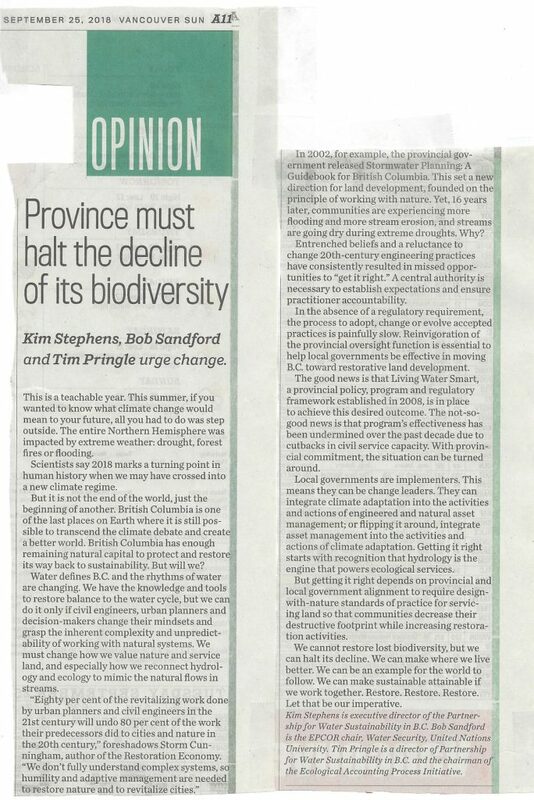 To read the entire Op-Ed, click on Opinion: Province must halt the decline of its biodiversity – Kim Stephens, Bob Sandford and Tim Pringle urge change to download a PDF copy of the online version.